SmartTRAK Spotlights SUTUREGARD medical, a privately held medical device firm with patented technology that allows surgeons to perform simple closures of high-tension wounds through rapid intraoperative tissue expansion. 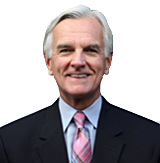 Founded in 2015 and based in Portland, Oregon, SUTUREGARD™ Medical, Inc. is a privately held medical device firm with patented technology that allows surgeons to perform simple closures of high-tension wounds through rapid intraoperative tissue expansion. For skin cancer surgeons (Mohs Surgeons), SUTUREGARD’s initial target market, the SUTUREGARD™ device allows closure of wounds using tissue expansion instead of relying on flaps, grafts, or second intent healing. This is particularly useful for scalp and lower leg closures. For some skin cancer surgeons, this will add greater efficiency to their day. For other skin cancer surgeons, this will retain closures in their practice that they would have otherwise sent to other specialists. The Company founders — a Corvallis, Oregon-based skin cancer (Moh’s) surgeon and his Ph.D. nurse business partner — designed the SUTUREGARD device. The Company invested three years conducting bench research, pre-clinical studies, and customer discovery prior to completion of a successful human use study in 2018. “SUTUREGARD Medical launched the SUTUREGARD device in November, 2018 at the Fundamentals of Mohs Surgery Conference and the product was enthusiastically received by surgeons.” Dan Ladizinsky, MD, CEO of SUTUREGARD Medical. The Problem: Skin cancer surgery can result in wounds that are too big to close with normal suture technique. In this case, complex procedures are used such as skin grafts and skin flaps. Human skin has an elastic component that will stretch and return to its original form when tension is released. It also has a viscous component that will not return to its original form upon the release of tension – it remains in a stretched configuration. This viscous transformation occurs through parallelization of collagen fibers, extrusion of water from the extracellular matrix, and direct mechanical effects on elastin and collagen. Although current indications for use are directed to short-term use in excisional wounds, the SUTUREGARD device could eventually also be used as an improved suture retention bridge, providing reinforcement and everted closures of high-risk, dehiscence prone wounds. The SUTUREGARD device has a short learning curve and is used in combination with standard surgical instrumentation found in any operating room or surgery office. The surgeon places tension on the suture and progressively begins to draw the wound closed. The SUTUREGARD device prevents the high tension from injuring the skin and makes it safe for the surgeon to stretch the skin. After 30 to 60-minutes, the skin gradually relaxes as it reaches its viscoelastic capacity making it much easier to draw the wound closed. The surgeon removes the SUTUREGARD device and more easily closes the wound with sutures or staples. 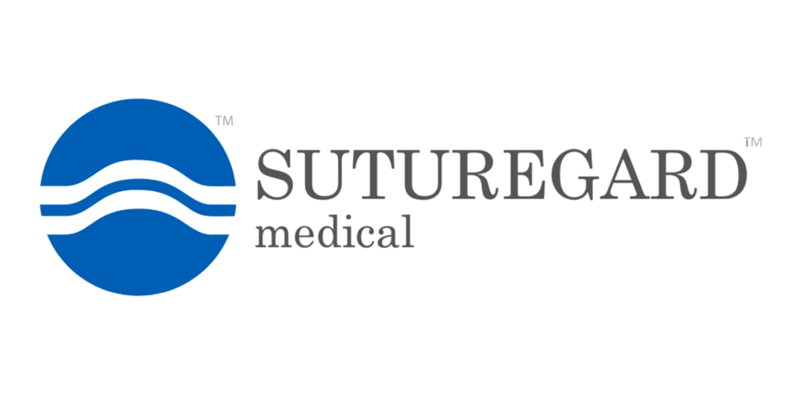 SUTUREGARD Medical envisions synergy with NPWT, as the surgeon initially achieves maximal closure of a wound with skin loss via use of SUTUREGARD for RITE -- then applies NPWT for edema reduction, mechanical support, etc. Multiple skin cancer surgeons have used the SUTUREGARD device in more than 100 cases. In addition, there are plans for a 300-patient pivotal trial which will allow surgeons from multiple specialties and the military to trial the SUTUREGARD device for the following applications: traumatic skin defects, difficult-to-close revision surgery, challenged skin (aged, thin, scarred, radiated), and poorly perfused skin (amputation closures). The SUTUREGARD device has been tested and validated in a human clinical study (n=42 wounds in 40 skin cancer excision patients). The findings showed convincingly that wounds that were not able to be closed with normal techniques were effectively closed with the use of the SUTUREGARD rapid tissue expansion device and subsequent closure. In some cases, the device was used for as little as one hour; in others, the device was left in place overnight, as determined by the surgeon. The SUTUREGARD device is a Class I, 510(k)-exempt device, registered with the FDA. The patient is provided with a closed wound in an office setting, reduced risk of infection, without the need for costly skin flaps or grafts, and returns to work/lifestyle quickly. The provider receives increased efficiency in their practice by closing wounds at the point-of-service, and more simply than skin flaps or grafts. The payor saves through a more efficient pathway for the excisional skin wound patient. Each time a closure removes the need for a specialist skin flap or skin graft performed in the OR, the average savings to the payor is ~$5000. With five million skin cancers excised in the USA annually, this could translate into 100’s of millions of dollars saved by the health system. The current embodiment has been used in a successful clinical trial, with results published in several peer-reviewed publications. Human use cases number well over 100 thus far. Howerter, S., Stoecker, A., Blattner, C., Young, J. & Lear, W. M.D. (submitted) Use of a rapid tissue expansion method with a novel suture retention device in the closure of a large Mohs scalp defect. Blattner, C. M. et al. (2018). The use of a suture retention device to enhance tissue expansion and healing in the repair of scalp and lower leg wounds. JAAD Case Reports, Volume 4, Issue 7, 655-661. Stoecker, A. Howerter, S., Young, J., & Lear, W. (2018). The use of a suture retention device with puncturelesstechnique for rapid tissue expansion in facial and lower extremity wounds. JAAD Case Reports, Volume 4, Issue 9, 910 - 914. Townsend, K.L., Akeroyd, J., Russell, D.S, Kruzic, J.J., Robertson, B.L., & Lear, W. (2018). Comparing the tolerability of a novel wound closure device using a porcine model. Advances in Wound Care. Akeroyd, J., Lear, W., Kitada, H., & Plauntz, L. (2017). Nurses' experience removing superficial non-absorbable sutures from the skin: wound overgrowth of sutures complicates the procedure. Journal of Dermatology Nurses’ Association. As a start-up, SUTUREGARD Medical needs to earn customer trust, establish credibility and brand identity. As experienced surgeons, the founders of the Company continue to listen to and understand the pain points of customers and are challenged to create solutions to solve wound closure problems. For more information go to Suturegard.com.